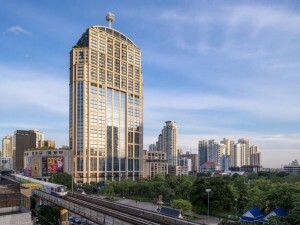 Emporium Suites by Chatrium is a five star hotel and serviced apartment located on top of The Emporium, one of Bangkok’s most luxurious shopping malls. Rooms are modern, extremely clean, equipped with free high-speed Wi-Fi, and decorated with high quality modern furniture and comfortable beds. Many rooms overlook Benjasiri Park, a small downtown park located next to the hotel. 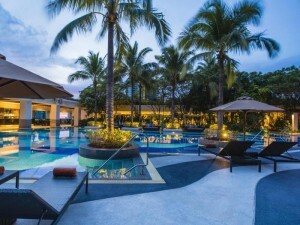 Easy access to The Emporium shopping mall, EmQuartier and Phrom Phong BTS station all make Emporium Suites one of the best luxury guest friendly hotels in Bangkok.